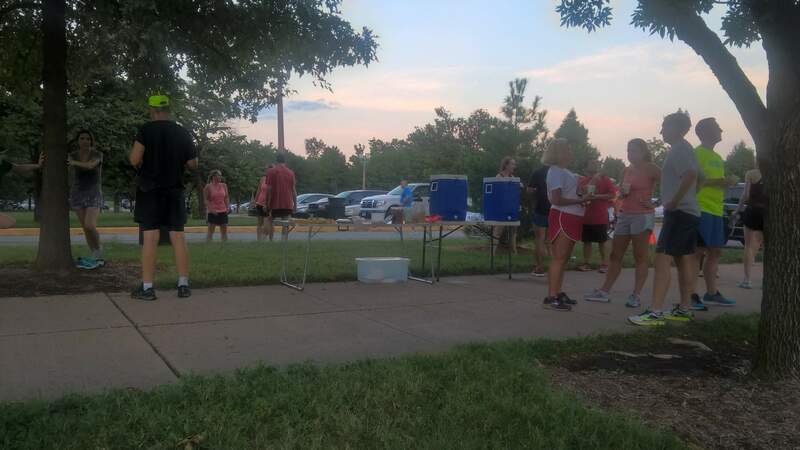 Unlike in last week’s St. Louis Track Club’s September Pace Series 5k run, the air temperature was not oven-like and my legs were properly rested. I even drove too the race start instead of jogged. So there were less excuses for a poor performance today. Fortunately, I did not need them. I felt that last week I started the race to quickly so right off the bat, I let three frontrunners get ahead. Runner A from last week once again was running erratically—he was even running backwards for a little bit!—but I was intent to keep the pace steady and reasonable. After the second mile and a couple of uphills, I caught and passed one of the three frontrunners so there were only two ahead. I was slowly reeling Runner A in especially since he was walking momentarily at the Mile 2 water station, and then the course went downhill on Skinker Street and I was able to pick up the pace a little bit. But then once the course turned back into Forest Park with over a mile to go, he saw me and sped up a smudge. I seemed to lack an extra overdrive gear and thus Runner A was able to pull away, but at least this week I was able to downshift for the last 0.2 miles and accelerate to 5:31/mile pace. My final time was 28:47 (6:51/mile), or five seconds ahead of the time of 28:52 I wrote down as my predicted time on the sign-in sheet. Despite the not-horrid temperature of 77 degrees at the race end, I was still sweaty for 20 minutes after the race due to the high humidity. But I felt that tactically I ran a pretty decent race this time and only wish I dug deeper in the final mile. Next week’s final September Pace Series race is 1.8 miles. That one, I think, will be less about pacing and more about grit and guts. Looking forward to it.